I feel like after years of getting my eyebrows done they are thin and just look horrible. Thankfully my dear friend gave me this amazing tip and it seems to really be working! And you know once I find something that works I just have to share. So if you have eyebrows that thinning out or even a hairline that is receding this tip is totally worth a try! 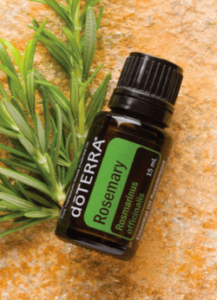 Make your roller bottle with equal parts Rosemary and Castor oil, shake and apply to the area 2 times per day. I recommend taking a before picture and trying for a month, then taking an after picture. This will allow you to truly see a change. Keep me posted on how it goes!